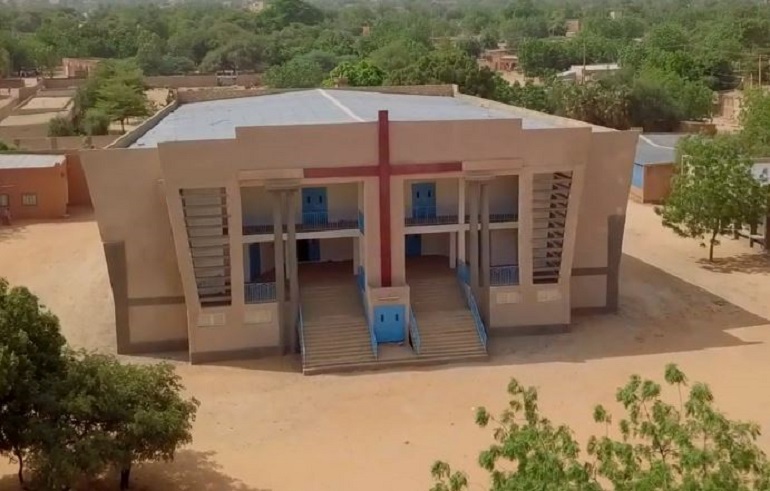 An aerial view of the newly rebuilt ‘EERN-Boukoki 2’ Church in Niamey. (Photo: Samaritan’s Purse). In Niger new buildings have emerged from the rubble of churches destroyed three years ago in the aftermath of the Charlie Hebdo attacks in Paris. On the weekend of 16-17 January, 2015, more than 70 churches were ransacked by hundreds of angry Islamists, who were said to be angered at the presence of Niger President Mahamadou Issoufou in Paris, along with five other African heads of state. An issue of the Charlie Hebdo magazine, showing the prophet Muhammad weeping, reinforced this anger and triggered the protest, which quickly turned into anti-Christian violence. Three years on, most of the destroyed churches have been rebuilt and joy and celebration has replaced sorrow and anger among Niger’s tiny Christian population. Pastor Samaila Labo lost his belongings during the violence. He also witnessed the destruction of his church, ‘EERN Boukoki 2’, one of the largest in Niger’s capital, Niamey. Speaking to World Watch Monitor, he expressed his gratitude to God at his church being rebuilt. “The Lord has torn up what is old and has given us something new,” he said. 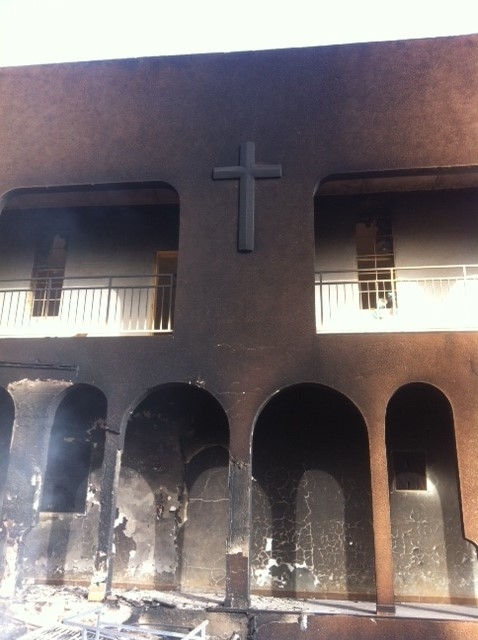 “Those who destroyed our buildings may have been expecting to silence the voice of Christians, but they have failed. Perhaps by doing so, they wanted to send a strong signal to the Church, that Christians are not wanted’’. Another local pastor, Sabo Batchiri, General Secretary of the Alliance of Evangelical Churches and Missions in Niger (AMEEN by its French acronym), told World Watch Monitor that the reconstruction of the churches has strengthened the faith of many Christians. “As it’s written in the Bible, ‘God has risen beauty from ashes’,” he said. “It’s a great encouragement for the people of God that the majority of the destroyed churches have been rebuilt. New buildings, more beautiful and more visible, have been erected for the glory of God. In the aftermath of the 2015 attacks, Niger’s authorities pledged to rebuild damaged and destroyed churches. The damage sustained by the churches amounted to more than 1 billion CFA (around 2 million US dollars), according to an estimate from government agencies. But later the government changed its positon, and said it will only “support” the reconstruction process, Rev. Batchiri explained. On 2 July, 2015, the government committed to give 300 million CFA (about $550,000), a comparatively small fraction of the initial estimate, and which was to be shared with the hotel and restaurant managers who sustained losses. Following this, AMEEN leaders unanimously said they no longer required financial aid from the government, saying they would rather rely on their own resources and the generosity of people of good will to carry out the reconstruction. In addition to the damaged church buildings, numerous Christian schools and organisations were destroyed, including an orphanage, and over 30 Christian homes were looted and burnt down. Those affected said the violence left them with “only the clothes on our backs”. “It’s sad to notice that three years after the attacks, none of the victims has received any compensation from the government,” Rev. Batchiri told World Watch Monitor, saying the government has failed to fulfil its promise. “Though we’ve forgiven, and we as an organisation rejected the government’s paltry offer of funds, the right of individuals to receive compensation from the government remains intact,” he said. In addition to the material losses, the victims have also suffered emotional trauma, he said. He said compensation for material losses could contribute towards healing of emotional trauma. Dozens of people were arrested as part of the investigation carried out by the police into the 2015 attacks. But those arrested were only young demonstrators and “idlers”, according to Rev. Batchiri, while the “masterminds” are still on the loose. 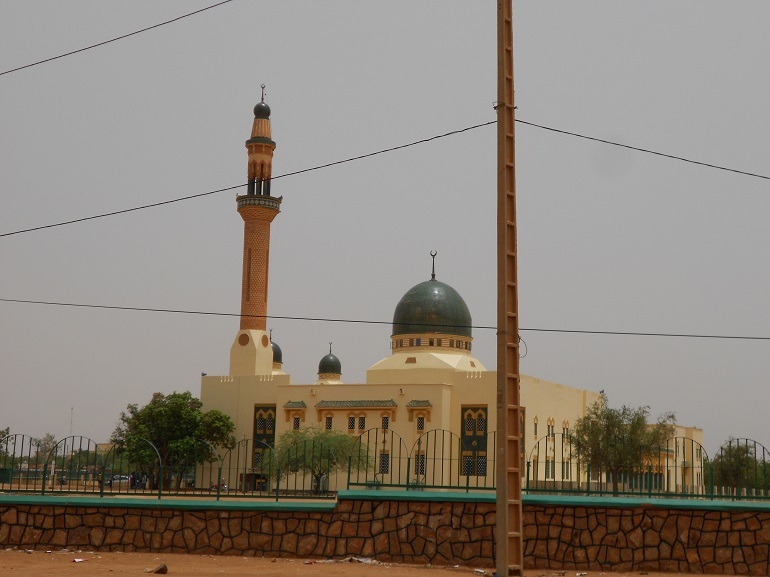 The January 2015 attacks had come as a surprise in this Sahel country, which for years had enjoyed relatively peaceful religious cohabitation between Niger’s overwhelming Muslim majority (more than 98% of Niger’s 20 million inhabitants are Muslim) and tiny Christian minority. But this has now changed, according to Rev. Batchiri, who pointed to a resurgence of hate speech against the Christians within private media. “The Niger of today is no longer tolerant,” he said. “It has become a country where everyone speaks only of religion. Despair has created hatred in the hearts and drives many to find refuge in religion. Jacques Kagninde, who heads the Esprit Bible College in Niamey, said the Christian minority now feels vulnerable.